Midge, the little stolen kitty, who stole our hearts! By now you’ve likely heard of Midge, the stolen Petco kitten. At barely 12 weeks of age, Midge has become a major news story in Santa Fe after being stolen then abandoned in a local Petco store. After being discovered, it was apparent that Midge was in distress and she was brought to us for help. Upon arrival, Midge was immediately examined by our Dr. Jennifer Garcia. “She presented with neurologic signs; circling, dilated pupils and singed whiskers. Diagnostics were performed which revealed an elevated white blood cell count. This could indicate infection or inflammation but still does not tell us the underlying cause of her symptoms. Based on her physical exam and diagnostic findings, I recommended treating symptomatically with supportive care”, Dr. Jennifer Garcia reported. Midge was treated with oral activated charcoal to help absorb possibly ingested toxins, intravenous fluid therapy to flush her system and a long lasting antibiotic injection. “By midnight, 6 hours after starting treatment, we could already see improvement in her clinical signs. She was aware of her surroundings and acting more like a kitten, which wasn’t the case earlier.” Dr. Garcia was happy to release her back to her foster home. According to Midge’s foster parent, she is doing very well. She has been reunited with her litter mates and is back to her playful self. Midge is a “Felines and Friends” rescue who was given a second chance through the non-profit, all volunteer-run organization. 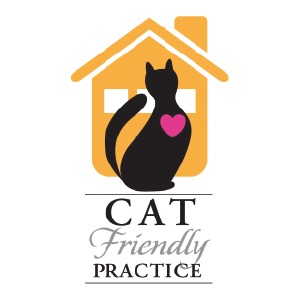 Smith Veterinary Hospital happily works closely with the group and treats many of their rescued cats. Although the mystery of her whereabouts during that 24 hours period has not been solved, the staff at Smith Veterinary Hospital are relieved that Midge has made a full recovery.